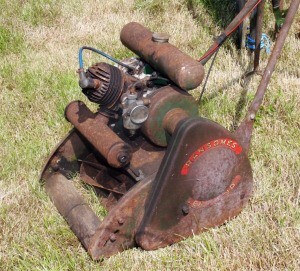 Vintage lawn mowers sometimes increase in value over time, depending on their age and condition. This guide has information about the value of a vintage Ransomes lawn mower. I have recently bought a vintage Ransomes Minor Mk6. I have just discovered how old it really is, it was produced in the 1950s. I would like to know an estimate of how much it would be worth if I restored it and got it running. It is pretty beat up and the paintwork will need some work. I don't know whether it runs yet, but I just want to know how much it would be worth if it was in pristine condition. They have a lot of info on this mower type. Are you in the UK or Australia? I am so curious as I have never seen one of these in the US. Post back what you learn! This is such a neat-o piece!! So curious to learn more!